Nidec Elesys? Electronic Stability Control, or ESC, enhances handling, stability, and predictability especially in poor traction conditions such as rain, snow, and ice. By combining our ESC unit to our customer's braking mechanics, we help the driver maintain control during understeer and oversteer situations. 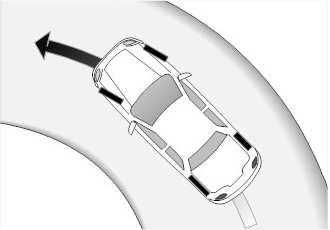 The system works by monitoring wheel skid and lock, then applies braking to each wheel individually to keep the driver in control of the vehicle. Our ESC system integrates anti-lock braking, traction control, and stability Control into one compact processing unit. ESC offers minimal intrusion to the driving experience. Many drivers may not even notice when ESC is working. Power steering has been used for decades to reduce the steering efforts of the driver. Electric Power Steering, or EPS, delivers this assistance through an electric motor as opposed to a belt driven hydraulic pump. By providing this steering assistance electronically rather than with conventional hydraulics, weight, space, fuel, and emissions are conserved. 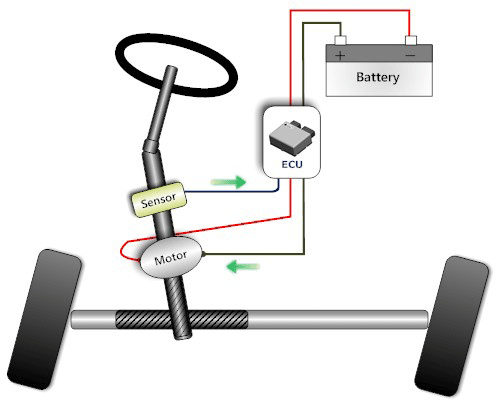 The system works when sensors detect steering input from the driver and the speed of the vehicle. These two variables are received and processed by the Nidec Elesys supplied control unit, or ECU. Our ECU instantly calculates the precise amount of steering torque assistance to be delivered by the electric motor. 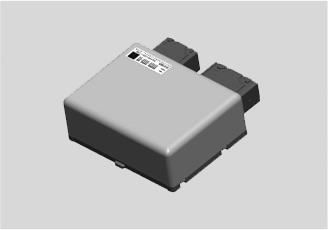 The Nidec Elesys ECU can be mounted separately or integrated into the steering rack/motor assembly, depending on OEM requirements. Lower maintenance cost No power steering fluid to monitor, no belt to check and fewer moving parts.